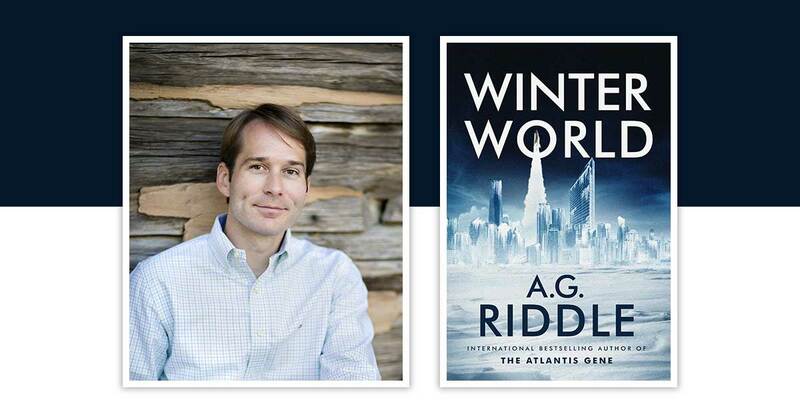 Landover, MD, October 9, 2018—Recorded Books, an RBmedia company, today announced an exclusive, seven-figure deal with worldwide bestselling author A.G. Riddle to publish his next five books, including Winter World, his highly anticipated new work releasing early next year. A.G. Riddle is one of the world’s most successful independent authors. His six previous books have sold over 3 million copies in English, including a half-million copies on audio. This entrepreneurial and highly creative independent author is consistently ranked near the top on Amazon books in three commercial categories—thrillers, action & adventure, and science fiction. Riddle’s work has been translated into 20 languages and is published worldwide. His standalone novel, Departure, and the Origin Mystery series have been optioned for film. The Martian meets Interstellar in his new sci-fi thriller Winter World about a new ice age that grips Earth. NASA and other space agencies send probes into the solar system to collect data, but they find something no one expected: a mysterious object, floating deep in space. As humanity’s best hope of survival, an international consortium launches a desperate mission to study the object and make contact. But what the crew discovers is beyond anyone’s imagination. The audiobook for Winter World will release in early 2019 and will be available anywhere audiobooks are sold. Rights were handled by Danny Baror at Baror International. Recorded Books is the largest independent publisher of audiobooks in the world, with a catalog of more than 35,000 exclusive titles narrated by award-winning actors. In addition to offering the highest-quality audiobooks, Recorded Books also delivers eBooks, magazines, comics, entertainment services, educational offerings, and more. The company’s RBdigital app delivers the library industry’s broadest array of digital services to millions of consumers. Recorded Books is an RBmedia company. Learn more at www.recordedbooks.com.